Namely, how to write media on the island, Chelsea had accepted United's bid worth 37 million pounds and allowed Mata to travel to Manchester where he will be subjected to medical examination after which they will sign a contract. 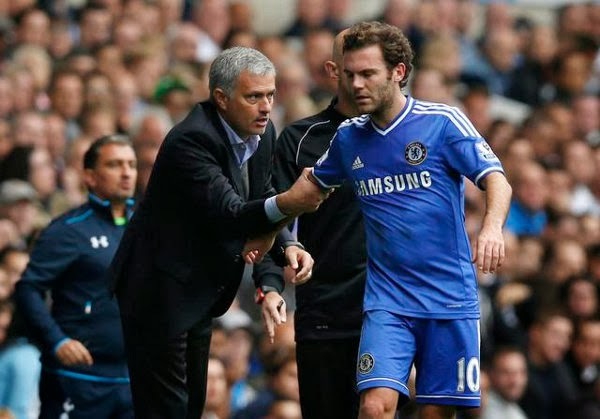 Recall, Mata to Chelsea arrived 2011th year from Valencia and the return of Jose Mourinho was the best player of the Blues. However, the charismatic Portuguese expert is not too believed the Spanish soccer players, so that his departure from Chelsea was expected. He will be the first football player who was sold from Chelsea to Manchester United in the Roman Abramovich era, and 'Special' was decided on the move in the hope that 'devils' with Juan Mata in team more bedevil Manchester City and Arsenal, who are 'The blues' most serious competitors in the race for the champion of England.